The new edition now incorporates educational aids such as full colour photographs and drawings along with access to an online resource containing hundreds of self-assessment questions which gives the student the opportunity to check their knowledge and receive feedback. "The book starts with a detailed definition of palpation, its application and importance of its use in clinical practice. 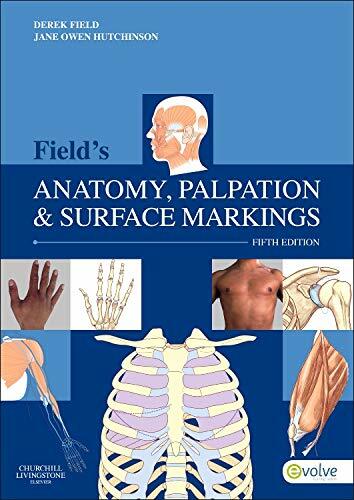 It has a particular focus on how to improve the art of palpation by giving the reader techniques on how to improve manual dexerity and sensitivity to aid palpation ability...Whilst this book heavily focuses on acquisition of anatomical knowledge through familiarisation of surface markings, it appreciates that palpation skills are developed over many years and that the book is best utilised as an adjunct with other learning methods, reflecting the current diverse trends in academic and clinical practice....Overall this is a very well presented and picture rich book that allows the reader to easily understand surface marking of anatomy and begin to build palpation skills. It is best aimed at studentts or the newly qualified clinician working in Neuro-musculoskeletal practice."